healthy bytes: should you drink coffee? How much do you like your coffee? You can’t get up in the morning without a coffee. Or two, or three. You see coffee dates with friends as something special, but you’d never make coffee at home. You save coffee for the all-nighters before an assignment is due, just for that productive buzz. You’ll swear by chai / herbal tea forever. Caffeine is a drug. We all have our own relationship with coffee, whether it be an addictive relationship or an occasional one-night-stand deal. Regardless of your coffee habits, it’s important to know what’s going into your body. 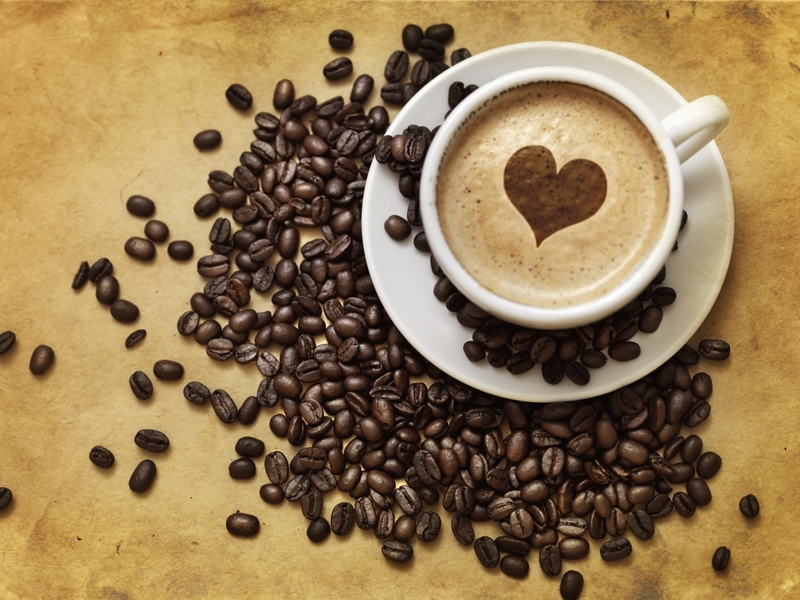 A regular coffee bought from a café contains up to 200mg of caffeine. This is nearly half of the recommended maximum daily dose of caffeine. Caffeine acts as a stimulant, which means it stimulates the brain and nervous system. Other than caffeine, coffee also contains a range of antioxidants. Coffee itself is very low in sugar and fat – these factors depend on the added milk and sugar! Obviously, coffee increases alertness. This leads to better memory and more productivity. In small doses, it is also said to regulate blood pressure and intestinal functions. Rich in antioxidants, studies have shown that the consumption of coffee lowers the risk of developing diabetes, Alzheimer’s and cancer. Lastly, as the caffeine in coffee causes the kidneys to develop more urine, it also helps flush out toxins. anxiety: Consuming too much caffeine can overstimulate the nervous system and lead to anxiety and jitters = more stress. sleeplessness: Ever lain in bed unable to switch off? Overconsumption of caffeine can lead to sleeplessness and as a result fatigue. And as a result, overconsumption of caffeine to make up for it! + grouchiness + bad breath + energy crash. No explanations needed there. There are some interesting debates about caffeine taking place at the moment. Here’s a study that claims caffeine is a killer of ‘emotional intelligence’. Here’s a paper on ‘caffeine abuse’. Here’s an entire journal devoted to caffeine research, for those keen to find out more. What’s the best way to consume coffee? Limit yourself to two or three caffeinated drinks a day. (This includes tea and soft drinks.) And when you can, take a day off from caffeine – try out a herbal tea or a juice. If you’re desperate for energy, bite into an apple for some fresh, natural sugar! What’s your relationship with coffee? Share your thoughts below. I have to say my relationship with coffee is pretty strong but I do limit it because I know it’s not the best in terms of the caffeine. I think I’m a bit strange because lots of people I know can’t drink coffee after a certain time at night or they won’t be able go to sleep. Me, I can have a coffee only a couple of hours before going to bed and I fall asleep as normal. I no longer put extra shots in my coffee. One morning I asked for two extra shots after a very very late night and early start the next morning. I felt bright and alert but then I noticed I wasn’t able to focus nor concentrate and I was shaking. I ended up having to go home and the day was a waste. So my take home message is to enjoy coffee, but as with lots of things in life, moderation is best. I love coffee Not only for the pick-me-up effect but also for the good moments that coffee that are linked to it in my mind: comforting, energizing, coffee is more than a drink, it’s an experience, it smells awesome, it tastes awesome, it’s cheap also, and so easy to have one. I guess that some may feel the same for tea But I am not sure if tea and coffee have the same health effects because of caffeine. Regarding coffee I am sure because I did a personal review of the recent medical studies and the balance is clearly positive in case of a moderate consumption. The important word here is “moderate”: if you drink too much coffee you will have more side effects than benefits: (sleep disorders, nervousness, irritability, stomach upset, fast heartbeat etc…). This entry was posted in Culture and tagged anxiety, caffeine, coffee, energy, food, health, healthy bytes. Bookmark the permalink.